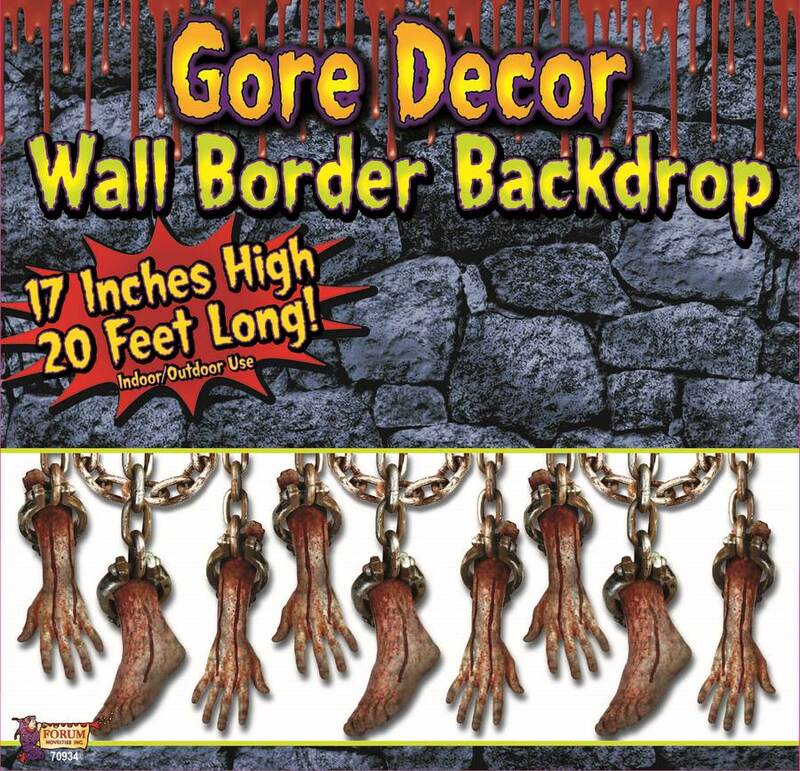 Easily decorate your rooms with a spooky theme with this Bloody Limbs Wall Border. Package includes 1 sheet that measure 240'' x 17''. Easy to hang using Sticky Tack (sold separately). Good for indoor/outdoor use.